This week we are joining in with my friend Sarah at Frugal Fun for Boys to share backyard carnival games. 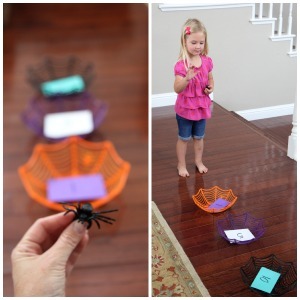 Since it is October and Halloween is right around the corner we thought we would share a simple spider toss game that we love! This would be great using any theme at a backyard carnival. This game can easily be played indoors or outdoors. Grab three bowls and set them out close by. We usually mark off a spot for the players to stand using painter's tape. Add numbers to the inside of the bowls if you want to make the game competitive or practice counting. From the taped off spot, have kids take turns throwing spider rings one by one to see which bowls they land in. My oldest loves to try and get high points and my younger two are just interested in getting the rings in the basket. This game is a whole lot of fun and even my youngest enjoyed playing (he was a little less than two when we introduced the game)! Do you have a favorite carnival game? 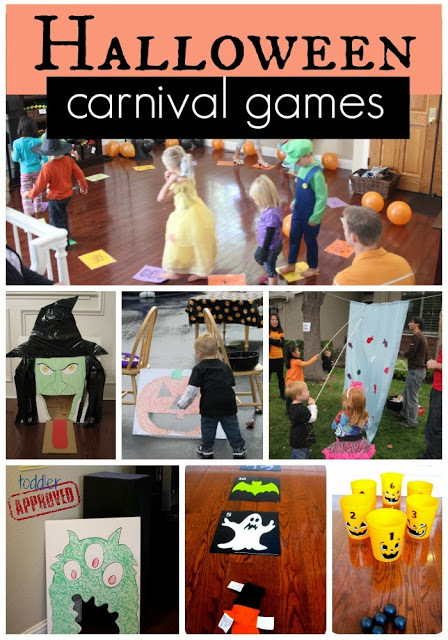 We love Halloween Carnivals so you can find all of our favorite Halloween Carnival ideas HERE. So excited to try it out!! 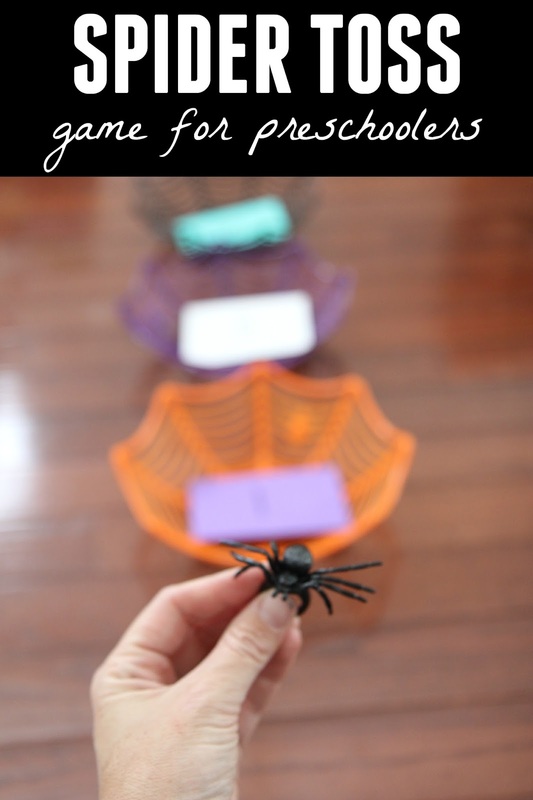 Stop back tomorrow for our last activity from our Spider & Witch week! What a fun idea! There are so many possibilities with this game and you can really differentiate it. Where did you get those adorable "web" bowls????? Dollar Store has them too!